Here is a map displays territory of Russia. topographic map of Gribanovskiy calibrated this. topographic map of Vol'noye with gps calibration displayed. map of Verkhniy Karachan download for free. actual map of Tyumenevo this. topographic map of Tikhvinka и OziExplorer calibration for gps. topographic map of Tagayka calibrated for you. interesting map of Svobodnyy calibrated presented. topographic map of Sredniy Karachan with gps calibration download for free. interesting map of Solontsy presented. detailed map of Simkino и OziExplorer calibration for you. detailed map of Sergeyevka for gps. map of Savel'yevskiy for you. topographic map of Sadovka for Garmin. 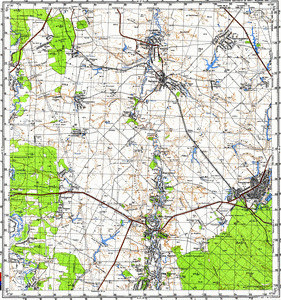 free map of Rzhavets 1 cm to 1 km displayed. topographic map of Pushkarevka for gps. topographic map of Popovka calibrated for you. detailed map of Polyana 1 cm to 1 km for gps.